In Invisible Supply, Goldsmith outlines the principles that can not only bring about growth of spiritual consciousness and inner peace, but also provide for material needs. In Goldsmith’s words, “Supply is infinite and it is omnipresent wherever you may be. Like Moses, we can realize that we do not have to live on yesterday’s manna, nor do we have to gather today’s manna for tomorrow. The supply is infinite.” This realization manifests in our experience as the fulfillment of every need. Goldsmith guides the reader to see that to realize the infinite nature of supply, we must develop spiritual consciousness, which means coming to the experience of one’s true Self. He emphasizes the important role of meditation and practicing the principles in bringing us to the place where we can rely on the Infinite Invisible for all things. 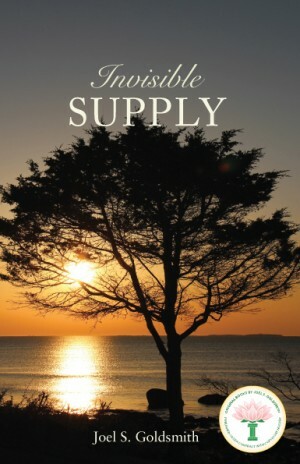 Invisible Supply explains the principles of infinite supply in detail not found in any other book.